Bathroom remodeling ranks up there with kitchen remodeling in terms of popularity, and in some years, bathrooms rank #1 as the most common remodeling job. 2016 is predicted to be a hot year for bathroom remodeling projects, but what specific features will homeowners be asking for? Kukun has done the research for us, from experience with customer requests as well as examining reports from industry groups. 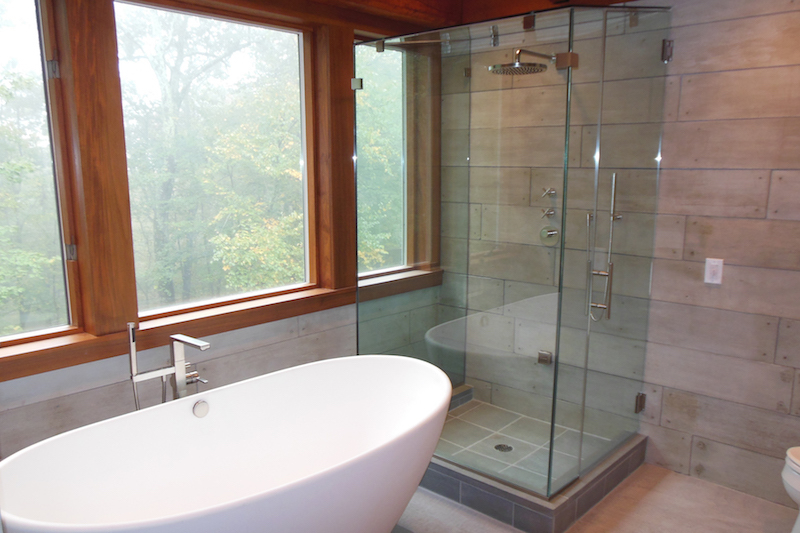 So we are here to fill you in on the most popular requests predicted for bathroom remodeling in 2016. The main style driving bathroom remodeling in 2016 will be contemporary. Today’s contemporary style overlaps significantly with modern elements: minimalist take on design, simple shapes and clean lines, natural materials, white color with other design elements such as large windows and natural lighting that make the space lighter and airy, with a sophisticated yet comfortable look. Trends are moving towards a Zen-like feel, with spas, neutral earthy tones. The most popular colors will be white and grey. In terms of solid colors, beige and bone color will not be as popular, but used in a fair amount. Some owners will be exploring color combinations that stick to contemporary colors: black and white or black, white and grey. A little hint of color here and there will be used as well. Trends of pop being used are purple, lavender and lilac tones as well as adding plants to give a pop of green color. The major layout trend will be the move toward creating a focal point in the bathroom adding specific elements your eyes are naturally drawn to. 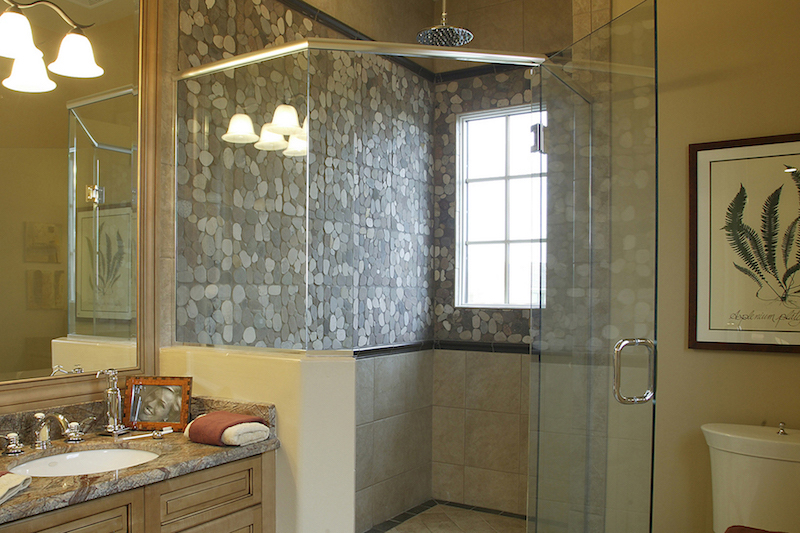 Two most common trends will be the large walk-in shower and the freestanding tub. The large walk-in shower will be the top choice, perfect for today’s busy lifestyle where people may not have time to soak in a tub. 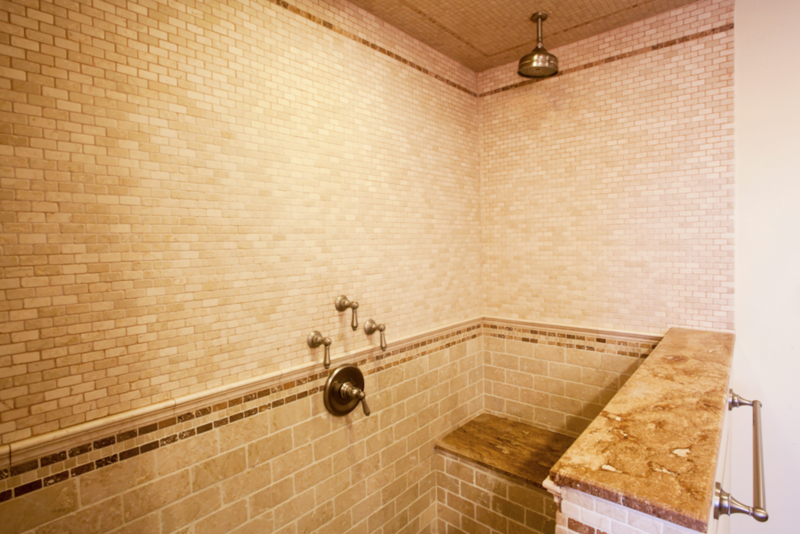 These showers will achieve spa-like feel with a number of elements: heavy glass enclosures, impressive tile work, multiple shower heads, steam showers, and a growing demand for seats and benches. 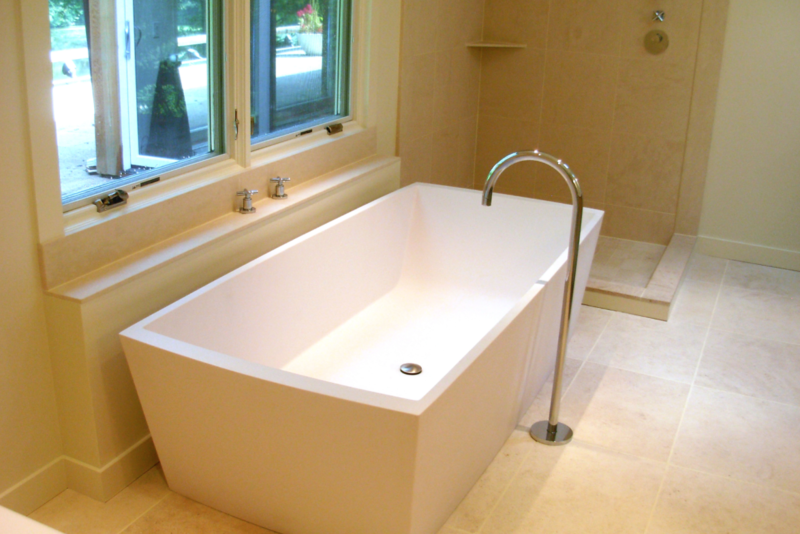 The tub will be centered and on display much like a sculpture or work of art. In terms of sinks, we will see a demand for better function with more countertop space and multiple sinks. 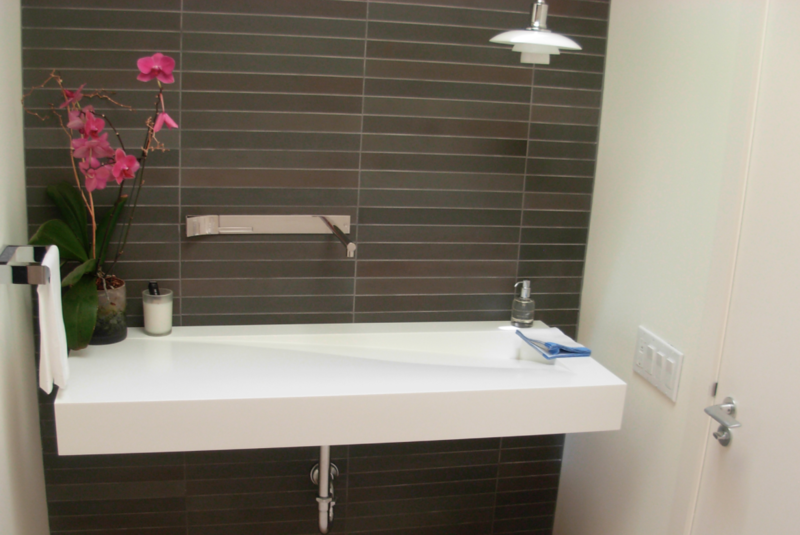 The double sink is a popular option, where there are two separate basins and faucets with lots of counter space. Also the trough sink, with one large basin but two sets of faucets designed to accommodate multiple people at once. Countertop material top choices are: quartz and granite with metal fixtures including polished chrome, nickel and brass/warm copper colors. 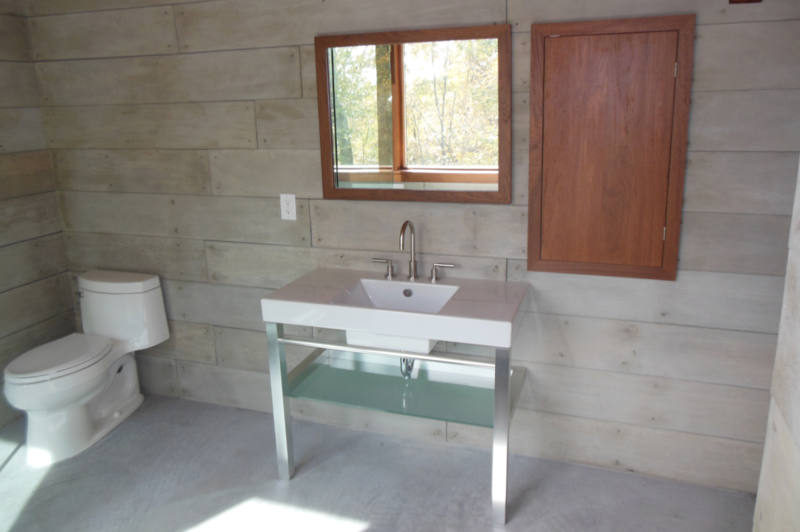 Under the sink, the wooden vanity will remain top choice, as well as frameless cabinets and raised panel doors and drawers. Lighting is no exception this year, from crystal chandeliers, hand-blown globes, drum pendants, with large and bold lighting full of personality. 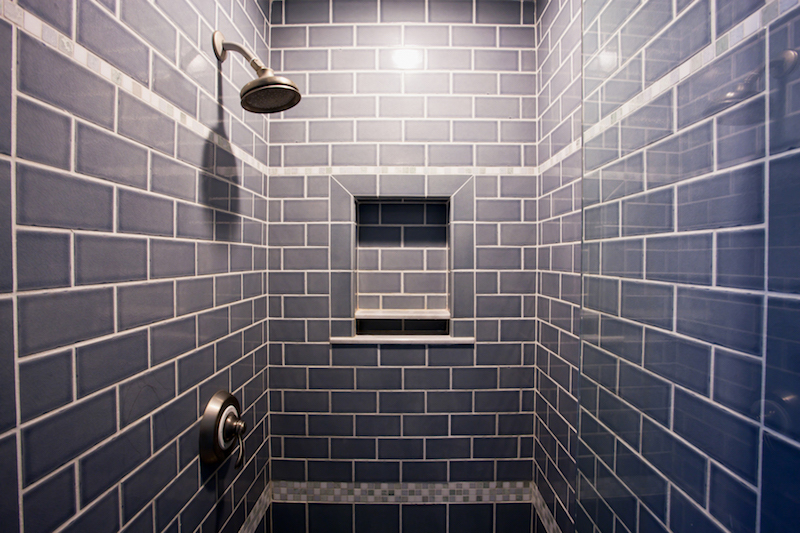 Tiling will have a major role i the large walk-in showers to help create a focal point. Subway tile in neutral and soothing colors (slate gray, winter white, cobalt blue) with unique patterns and designs will hit top trends. A new alternative will be bamboo tile, set up vertically to mimic the look of bamboo and create a Zen-like feel, as well as floral pattern tiles to break up solid colors. Favorites will be ceramic or porcelain tiles, using the same contemporary look. The biggest growing trend in 2016 bathrooms will be the use of heated floors. Radiant heat flooring can be installed underneath the tiles, helping to control the temperature of the room and to create a warm surface to bare feet. Technology in bathrooms will also grow: water resistant music systems, digital showering systems, and efficiency in reducing water and energy consumption.